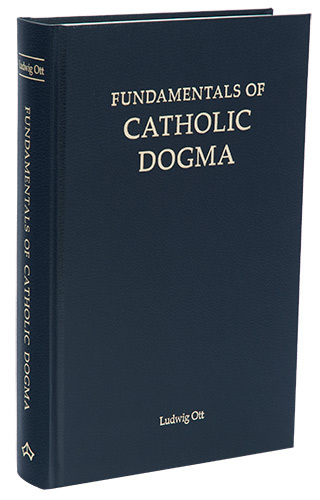 Fundamentals of Catholic Dogma has been considered as the definitive single� volume summary of Catholic dogmatic theology ever since its original publication in German in 1952. This great work by Ludwig Ott presents a comprehensive yet concise outline of the entire system of Catholic doctrine, laying out its sources in Scripture and Tradition as taught by the Magisterium of the Church. The level of authority behind each doctrinal point is indicated and there are frequent references to the teachings of Fathers, Doctors and numerous Saints of the Church. This definitive work of dogmatics is presented in a language that is both academically rigorous and accessible to laymen. Whilst written for study purposes it is suitable to anyone who wants to go beyond the basics in understanding the faith. The new edition of the Fundamentals of Catholic Dogma by Baronius Press is based on the original translation by Dr. Patrick Lynch. It has been fully revised and updated and brings the language into greater harmony with current usage. Ludwig Ott was born in Neumarkt-St. Helena, Germany in 1906. He was ordained a priest in 1930 and received his doctorate in 1936 after studying under Martin Grabmann, one of the 20th century�s greatest authorities on medieval scholasticism. That same year he became a professor of dogmatics in the Catholic University of Eichst�tt, rising to full professor in 1941. From 1960 to 1962 he served as the university�s rector. His studies in the field of dogmatics and the history of scholasticism made him eminently qualified to write the Fundamentals of Catholic Dogma. He also wrote works on the history of medieval spirituality and theology and on the Sacrament of Holy Orders. Ludwig Ott died in Eichst�tt in 1985. Ludwig Ott�s Fundamentals of Catholic Dogma has proven to be an indispensable guide to Catholic doctrine since it was first published in the 1950�s. Whether in the original language or in its French and English translations, it has been fa-voured by generations of readers because of its rare combination of relative brevity with comprehensiveness. I congratulate Baronius Press and Dr. Robert Fastiggi for bringing out this comprehensively revised translation of the last edi-tion of the Fundamentals. We live at a time of grave doctrinal confusion when the sheep are often left without shepherds. Against the dangers of doctrinal ambiguity and the loss of clarity in moral matters, the faithful are called more than ever to seek to know their faith, so they can defend it and pass it on to their children. Catechism is necessary, but perhaps now it is not enough to only know one�s Catechism. The subtlety of the many contemporary errors assaulting the faith practically require from the ordinary faithful today a good understanding of Catholic doctrine that is not separated from its traditional and immutable roots. For this task, Funda-mentals of Catholic Dogma is eminently suitable. It presents the immutable truths of Catholic theology backed by the teachings of the Magisterium in the past two millennia, not the latest speculations of fashionable and media-friendly theolo-gians who in reality want another religion. 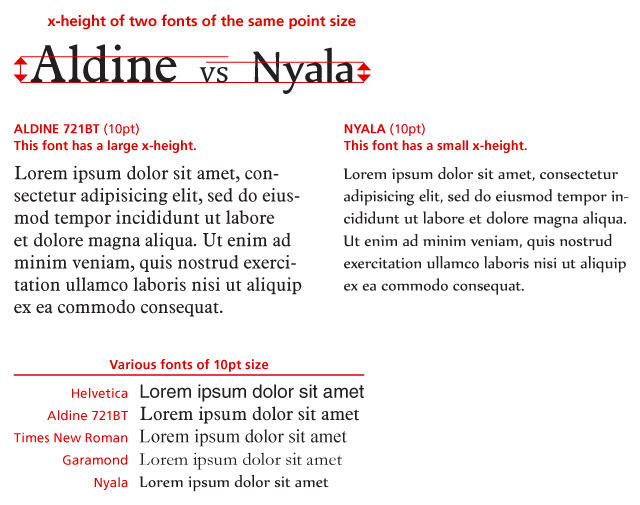 It uses language that is simple and clear � virtues often forgotten today � and is brief enough to fit into one volume. May it help the light of faith shine clearer and brighter for countless Catholic faithful, may it help them live the faith in all its purity. And to all who read this book I grant my blessing. Fr. Ludwig Ott was a German priest, medievalist, and theology professor. He was born on October 24, 1906 in Neumarkt in der Oberpfalz in Bavaria, Germany, and he died on October 25, 1985 in Eichst�tt, Germany. Ordained to the priesthood in 1930, Fr. Ott pursued his doctoral studies (1931�1936) in Munich under the great theologian and historian of scholasticism, Martin Grabmann (1875�1949).� In 1936, he began teaching as an extraordinary professor and then, in 1941, as an ordinary professor of dogmatic theology at the Philosophical-Theological Institute (Philosophisch-Theologischen Hochschule) in Eichst�tt, Germany. He also served as rector of the Institute from 1960 to 1962. An expert in dogmatic, medieval, and scholastic theology, Fr. Ott published books on early Scholasticism, the Sacrament of Holy Orders, and a monograph on the life and work of the medievalist and historian Fr. Martin Grabmann.� He is best known, however, for his Fundamentals of Catholic Dogma (Grundriss der katholischen Dogmatik), which, since its initial publication in 1952, has gone through eleven German editions and been translated into multiple languages, including English, Italian, French, Spanish, Arabic, and Chinese. The first English translation of Ludwig Ott�s 1952 work, Grundriss der katholischen Dogmatik, was published in 1955 under the title Fundamentals of Catholic Dogma.� Dr. Patrick Lynch was the translator and Canon James Bastible, D.D. was the editor. Three years later, in 1958, a second English edition appeared that incorporated the changes made by Fr. Ott in his second and third editions. Since then the Lynch-Bastible translation has been published in many subsequent printings, and continues to be a highly esteemed manual of dogmatic theology. The added references to the documents of Vatican II are few and modest.� They are mostly from Dei Verbum in the section on Revelation and Lumen Gentium in the section on the Church. With regard to theological anthropology, Fr. Ott includes summaries of more recent theological speculations on the transmission of original sin and concupiscence. In the sections on Christology, he takes note of recent discussions on the human consciousness of Christ.� In presenting these speculations, Fr. Ott is always careful to cite any relevant magisterial interventions. For example, after summarizing some new perspectives on the human consciousness of Christ, he refers to Pius XII�s rejection of some of these views in his encyclical, Sempiternus Rex (1951). While Fr. Ott made some revisions in 1969, it would be wrong to find in these any notable change in his theological posture from the decade prior to Vatican II. Ludwig Ott always remained faithful to the Church�s perennial Magisterium, and he is careful to distinguish theological speculations from the constant teaching of the Church. In this regard, it is interesting to note that his revised 1969 treatment of Mary�s virginitas in partu is actually more explicit in defending the preservation of her bodily integrity than the earlier editions. The popularity of the Fundamentals of Catholic Dogma can be explained by its clear and comprehensive presentation of all the major areas of Catho�lic dogma. Fr. Ott�s characteristic method, as in other dogmatic manuals, is to present a thesis (e.g. Mary was conceived without stain of original sin), indicate its appropriate theological note or doctrinal level of authority (e.g. de fide), provide support from Scripture and Tradition, summarize the historical development of the dogma and, when appropriate, discuss relevant speculative questions and heretical counter-propositions. In addition to Sacred Scripture and magisterial pronouncements, the two most cited sources are St. Augustine and St. Thomas Aquinas. The present revised and updated translation attempts to bring the language into greater harmony with current usage. A few examples: �Holy Writ� has been changed to �Sacred Scripture,� �Holy Ghost� to �Holy Spirit,� and �the Vatican Council� to �First Vatican Council.� The Hebrew numbering of the Psalms and the Hebrew names of the Biblical books (e.g. Isaiah rather than Isaias) have been adopted to correspond with the practice in Catholic Bibles in print today. Similarly, the contemporary method of citing Bible verses in English is used (e.g. John 1:1 rather than John 1, 1). Proper names have been Anglicized more consistently, thus, �James of Viterbo� is used instead of �Jacob of Viterbo,� �Hugh of St. Victor� replaces �Hugo of St. Victor,� and the �Council of Vienne� (in France) is now given for the 15th Ecumenical Council of 1311�1312 instead of the incorrect reference to a �Council of Vienna� (a city in Austria). A great deal of work has been done to standardize names and the abbreviations and terms used throughout this book. As much as possible, Ott�s own emphases (by italicizing certain words and phrases) in the original German have been preserved in the English. The 11th German edition of 2010 mostly gives references to the Enchiridion Symbolorum of Denzinger-H�nermann (abbreviated DH) rather than Denzinger-Rahner. The present English translation does the same, although the reference numbers have sometimes been made more specific (e.g. DH 3885 instead of DH 3884f.). The quotations from DH have been examined to ensure word-for-word conformity to the Latin texts in the DH from which they were taken. In the handful of cases where the quotation given is found in Denzinger-Rahner but not Denzinger-H�nermann, then the former is cited as the source. The references to canon law found in Fr. Ott�s 1969 edition are to the 1917 Code of Canon Law. These are retained, but brackets are added to indicate that these are from the Code of 1917, and references to the corresponding canons of the 1983 Code, the one currently in force, have been added. This present edition provides English translations of hundreds of Latin terms, phrases and passages that were left untranslated in prior English editions. The English translations for DH are taken from the 2012 Ignatius Press edition of this reference work. Translations of the Scriptural texts adhere closely to the German cited in Ott�s original text and therefore do not reproduce the translations in any given English Bible, although these were often consulted. Adjustments have been made to correspond to the theological notes provided by Fr. Ott in his 1969 edition. For the most part, these are the same as the earlier editions, but in some cases Fr. Ott made slight adjustments. For example, the teaching that the matter of the orders of the diaconate, the priesthood, and episcopacy is the imposition of hands alone is now given as �sententia certa� rather than �sententia fidei proxima�. Numerous translation errors unfortunately found in the Lynch-Bastible translation have now been corrected. The Lynch-Bastible translation itself already had a corrigenda that was not implemented in subsequent printings. Further errors were noted by Fr. Camillus Hay, O.F.M. in a 1960 article that made frequent comparisons with the 1955 French translation, and which can be found online. The mistakes noted by Fr. Hay, however, were not exhaustive (as he himself admitted). These lists of errors have been taken into account when making this revised translation. Numerous passages that were inadequately translated have also been revised. For example, the earlier translation described the Holy Spirit as �of like substance with the Father.� The present edition, however, translates dem Vater wesensgleich as �of the same substance as the Father� so as not to obscure the full divinity of the Holy Spirit. It should be noted that the translations of texts used in the liturgy are direct translations from Ott�s German and therefore are not always identical with approved English translations of liturgical texts. What is amazing is that, in spite of the shortcomings of the earlier English translation, the Fundamentals of Catholic Dogma has continued to be used profitably by students and teachers of theology in the English-speaking world. This shows the ongoing need for a sound one-volume manual of dogmatic theology. It is hoped that this fully revised translation, incorporating the 1969 revisions of Fr. Ott himself without deviating from the orthodoxy of his previous editions, will continue the great tradition initiated by Fr. Ott over 50 years ago. I wish to thank the men behind Baronius Press for their extraordinary kindness and patience with me in the seeing this project to completion. In particular I am extremely grateful to Carlos Antonio Palad, who worked closely with me on this volume, for his diligent editorial work and for offering very many fine suggestions. I am much indebted to my colleague, Fr. J. Michael McDermott, S.J., for his gracious assistance in translating four of the new paragraphs added by Fr. Ott in 1969. I am also grateful to another colleague, Dr. Edward N. Peters, J.D., J.C.D., for his help in identifying canons from the 1983 Code of Canon Law that match those of the 1917 Code.� I thank Bishop Athanasius Schneider for his Foreword to this edition. Finally, I would like to thank God for providing Fr. Ludwig Ott with the gifts needed to compose such an excellent manual of Catholic dogmatic theology. May this fine priest and scholar rest in peace in the glory of the everlasting kingdom. This Basic Course of Dogmatic Theology appears in place of B. Bartmann�s (� 1938) Basic Course which has been out of print for years. Derived from practical experience of theological instruction, it is primarily intended to meet the needs of students. My aim was to present the essentials of Church teaching and the foundation of such teaching in clear and concise form. On didactic grounds the matter was very extensively correlated. As the framework of a basic course could not be exceeded, only the most important pronouncements of official Church teaching, only individual significant scriptural texts, and only one or two patristic texts could be quoted verbatim. The history of the development of dogma has been kept within the minimum limits indispensable for the understanding of Church doctrine. The scriptural and patristic texts were, on principle, quoted in their translation. Anyone desirous of seeing the original texts can easily find them in the Bible; most of the patristic texts quoted or indicated may be found in the Enchiridion Patristicum of M. J. Rouet de Journel (Freiburg im Breisgau 1947). On account of the brevity aimed at, the speculative establishment of doctrine had to give place to the positive. The many indications to the works of St. Thomas are intended to be a pointer to deeper study. The reader is directed to the appropriate articles in the Dictionnaire de Th�ologie Catholique and to the Theologisches W�rterbuch zum Neuen Testament of G. Kittel. The present Basic Course is constructed on the framework of the lectures of my teacher Michael Rackl (� 1948 as Bishop of Eichst�tt) and of Martin Grabmann (� 1949), and I venture to hope that it breathes their spirit. It was Grabmann who urged me to publish this work. I acknowledge with thanks that I found many hints and ideas in various religious textbooks particularly in those of Bartmann, Diekamp, Pohle and Van Noort. I am indebted to the Most Reverend Dr. Alfred Kempf in Oberzell bei W�rzburg for assistance in reading proofs and for the preparation of the Index of Persons. May this book contribute to the extension of the knowledge of the Church�s teaching, to the deepening of the understanding of this teaching, and to the awakening of the religious life! An indication of the usefulness, completeness, and reliability of Ott is the fact that the monastery of Le Barroux (and perhaps others, too, unbeknownst to me) has all of its monks studying for the priesthood read Fundamentals of Catholic Dogma in its entirety, chapter by chapter, as they proceed through their program of formation. Really, any Catholic who wants to know the actual content of the Catholic Faith, as well as which doctrines are matters of opinion or dispute (and to what degree), should consult Ott on a regular basis. I simply cannot recommend this book and this new edition of it highly enough. If you do not have Ott, wait not a moment longer. If you already have an old Ott, replace it with the new Ott, which is handsomer and better translated.